We’ve been living like the Roman Emperor for almost a week now. We’re eating three-course meals with silver and porcelain every day – for breakfast. The reason for all this goodness is that we’re visiting a good friend of Patricia in Trujillo, the North of Peru. More on that later. 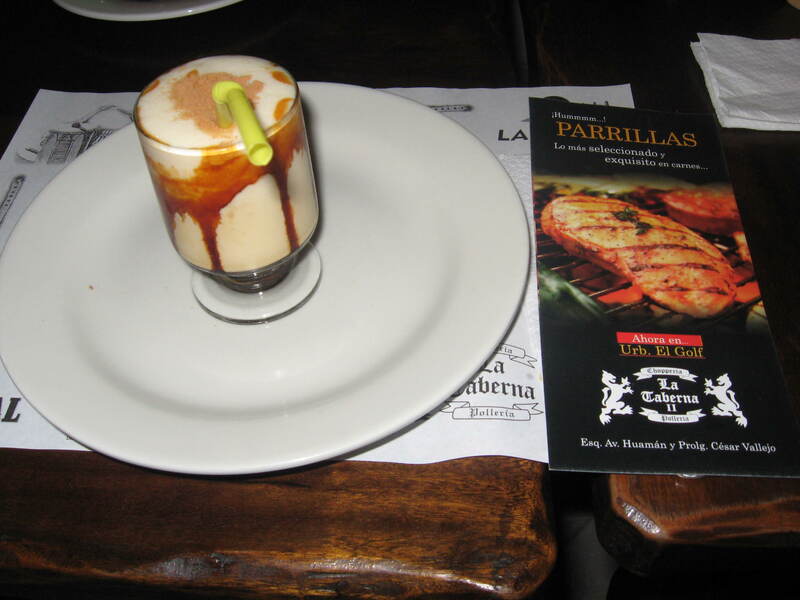 Monday night I had an Algarrobina, a drink typical of the North of Peru. The picture does not do justice to the presentation, it looked perfect before I got my grubby hands all over it. Carlos, the owner of La Taberna, with Patricia and other friends. We were invited to “La Taberna II” by the owner Carlos, who is a good friend of our hosts. The restaurant is located at the corner of Avenida Huamán and Prolongación César Vallejo. It is one of the nicest restaurants in Trujillo, it would not at all be out of place in West Palm or Wrightsville Beach. 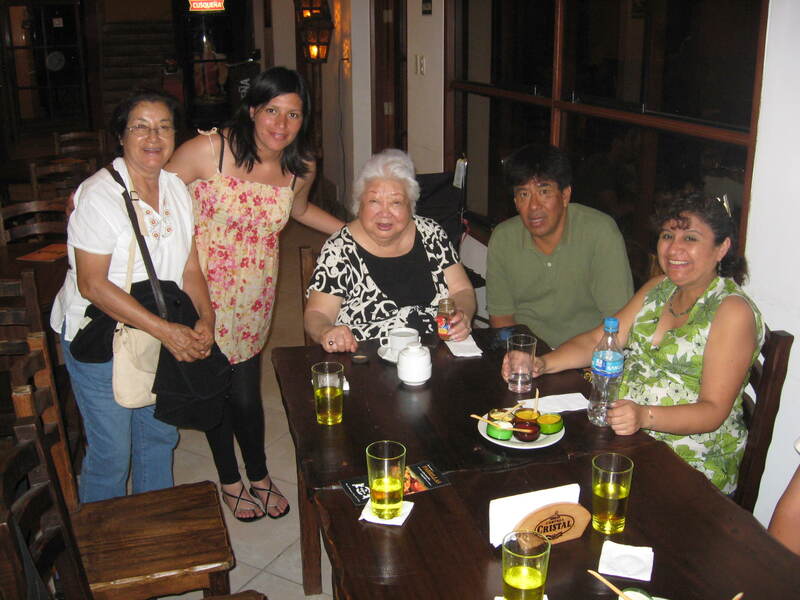 This entry was tagged algarrobina, La Taberna, Life in Peru, Peru, restaurant, Trujillo. Bookmark the permalink. whats the recipe for algarrobina.